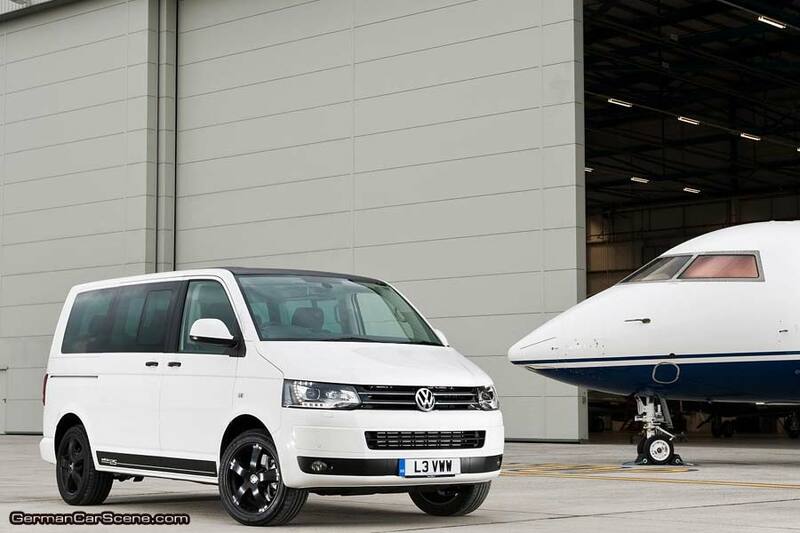 Volkswagen has created a special edition, high specification Caravelle model for the UK market. 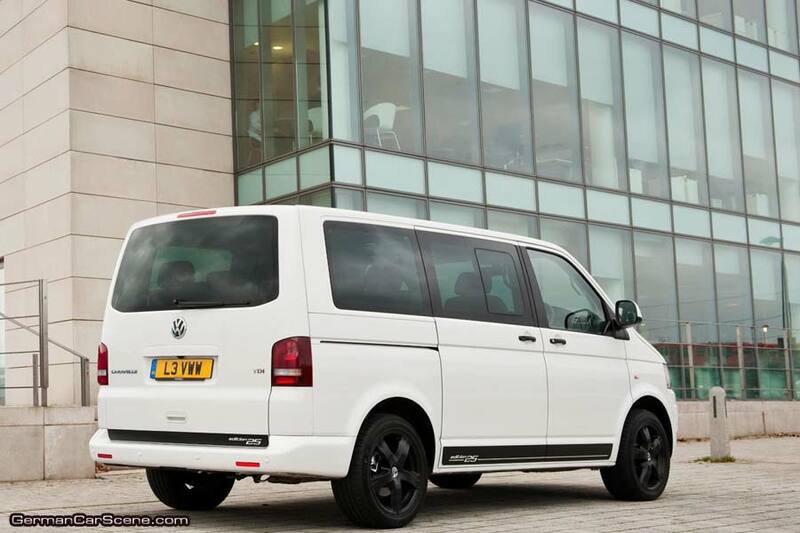 Limited to just 225 units, the Caravelle Edition 25 can be ordered in Candy White, or optionally in Reflex Silver, and stands out from the rest of the Caravelle range thanks to a restyled front bumper with satin black elements, xenon headlights with LED daytime running lights and black sections running along the length of the body, the tailgate and roof. Those Satin black alloy wheels are 18-inch diameter and exclusive to the Edition 25. 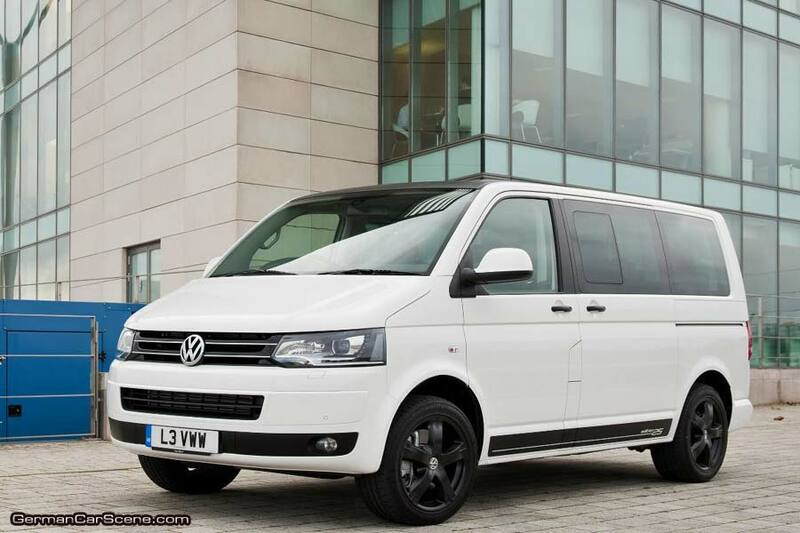 Using SE trim level as a base, the Edition 25 gets two-tone leather upholstery, three-zone air conditioning, allowing occupants in each area of the Caravelle to control their own temperature, voice-activated Sat Nav, parking sensors with reversing camera, mobile phone preparation with Bluetooth interface and Lane Change Assist which constantly monitors blind spots. 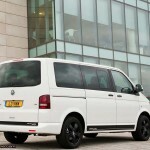 Power comes from Volkswagen’s 132 kW (180 hp) 2.0 L Bi-Turbo common rail diesel unit, which is coupled to a seven-speed DSG transmission as standard. Available in either front-wheel drive form or with the 4MOTION all-wheel drive system, the Edition 25 can hit 100 km/h (62 mph) in a respectable 11.3 seconds (4MOTION: 12.1 s) and consume 8 litres of fuel every 100 km (34.9 mpg) on the combined cycle (4MOTION: 8.8 L/km or 32.1 mpg). 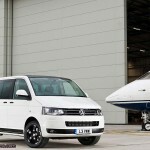 Prices start at £44,995 (€ 53,622).